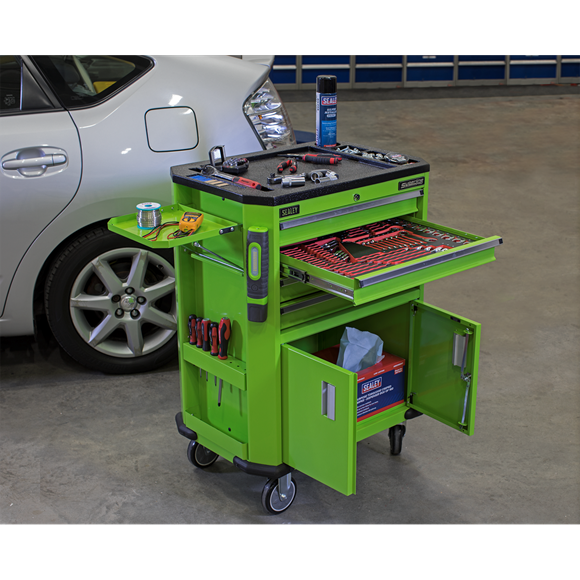 • Garage or workshop trolley with an overall weight capacity of 160kg. 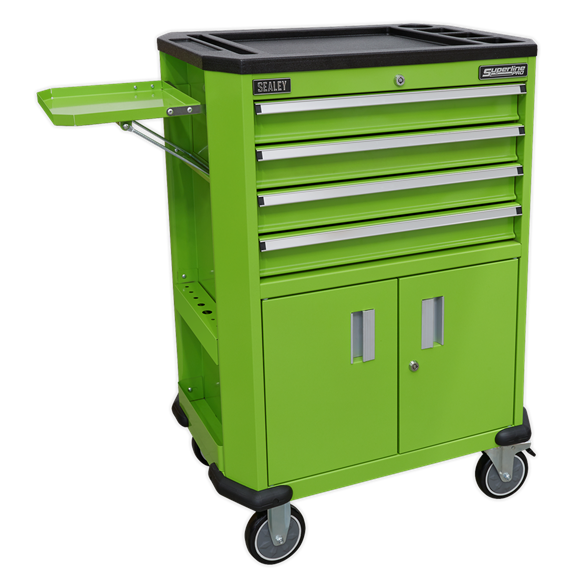 • Top of the trolley is covered in tough composite with built-in storage for small parts. 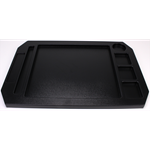 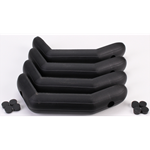 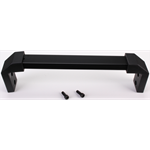 • Foldable side tray with 5kg weight capacity. 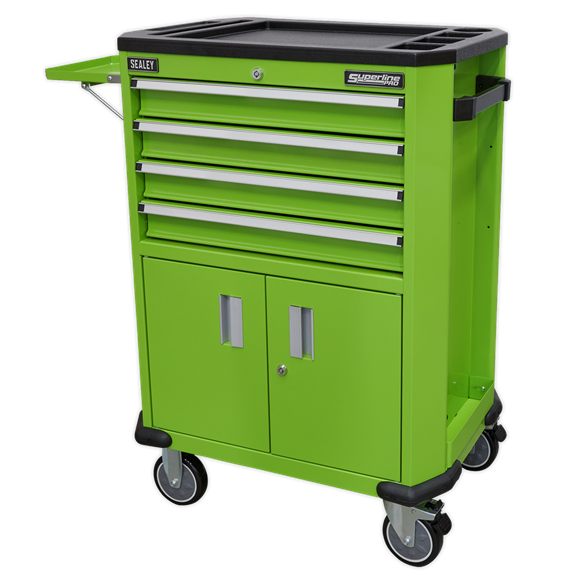 • Tool storage slots on the side to store more frequently used tools. 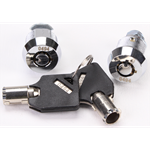 • Internal locking system for added security, allowing drawers and cupboard to be locked separately. 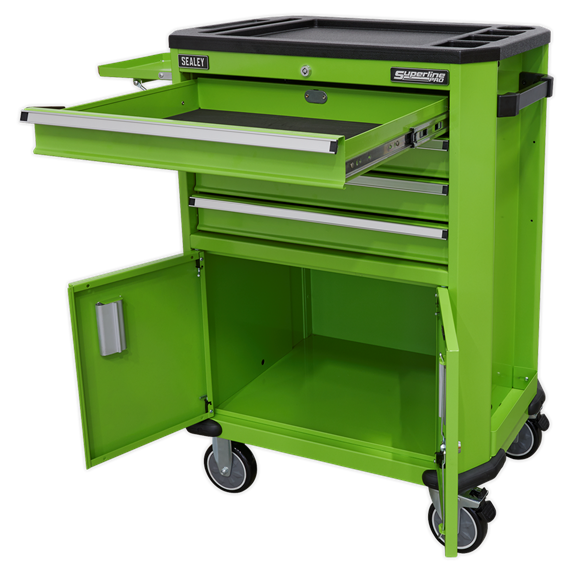 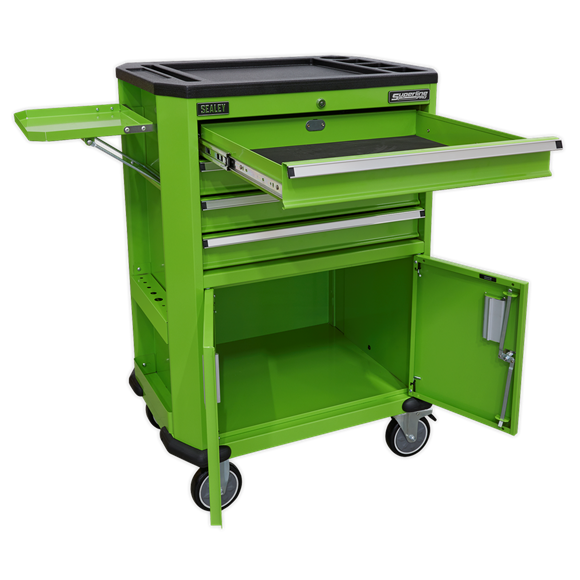 • Drawers are made to fit all Sealey and Siegen tool box trays. 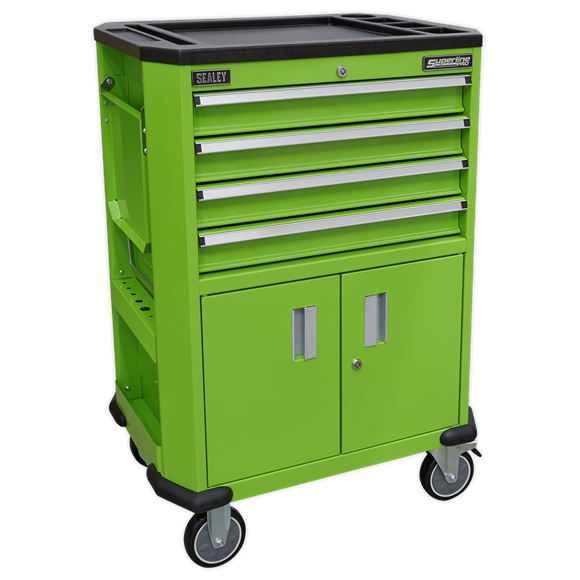 • Four drawers with liners and ball bearing slides, and a two door cupboard with magnetic doors. 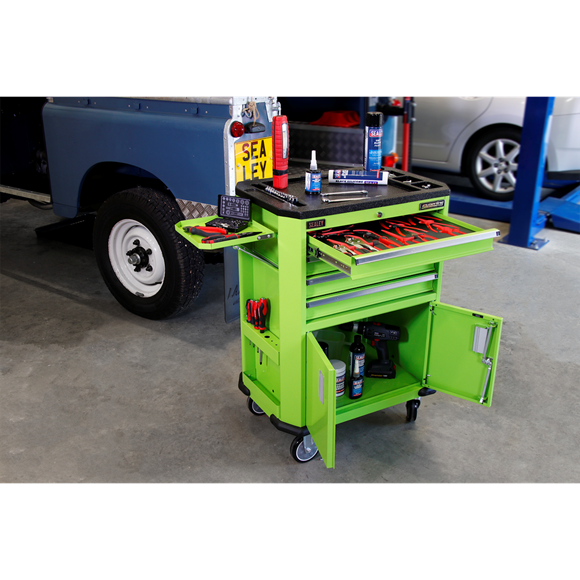 • Four bottom corners are fitted with bumpers to help prevent damage when moving around the workshop. 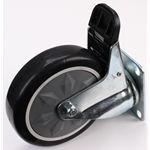 • Fitted with four wheels, two fixed and two locking castors. 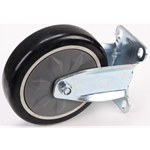 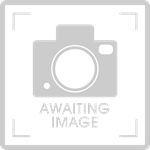 Swivel Castor c/w Brake 5"x1.25"
Name: Swivel Castor c/w Brake 5"x1.25"